On the roof...Change of shoes and sunnies ! Sul terrazzo...cambio di scarpe e di occhiali da sole ! Peace...silence...and an amazing view from the terrace ! Pace, silenzio...ed una vista stupenda dalla terrazza ! sure u had a good time in this site! i like your red dress! Really love this look. Your dress is gorgeous. lovely dress!! and the view is beautiful!! Great pics & love that dress especially the color! the bright pink is a brilliant pick for spring and summer. lovely outfit! what a cutie you are! i absolutely LOVE this jacket on you! i would have a hard time with it because i have huge football player shoulders. but on you it's magnificent! Lo hi abbinato davvero bene con quel vestitino. Mi hai dato uno spunto! You look so pretty in this outfit. Love your red dress. Black blazer is so sharp and flattering!! fab outfit! love dress! bacci. your outfit is so gorgeous i love the orange dress and the black fitted blazer is stunning on you! cmq io preferisco le zeppe ai tacchi x questo motivo,però nelle stradne ripide è meglio fare attenzione! 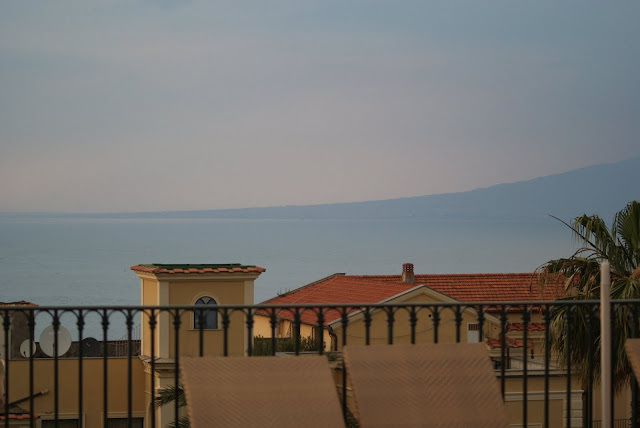 Quanto mi piacerebbe essere su quella terrazza *_* un bacino a presto! Love the outfit. the jacket is very cool with those somewhat pointy shoulders. non ho zeppe e ieri ne ho provato un paio in un negozio,, caspita sono davvero moooolto più comode dei tacchi! ero tentata di prenderle ma poi non so..non mi convincevano fino in fondo. Mia sorella mi ha fatto una pagina su Facebook (io non ho l'account) ti va di darmi una mano a farmi conoscere cliccando su mi piace o condividi? Mi piace troppo il vestito! I´m sorry for your ankle, i know what is this! Che bella, stai benissimo! Però mi piacciono di più le prime scarpe, sai?! Que envidia verte al lado del mar!!! yo tb quierooo!!!! jejeje... te sienta genial el Fuxia!!! I love your style ;). Lovely outfit! I must agree with you on the wedges! Love the blazer...very classy and beautiful! Cute! What a classic, timeless look! wow you look fabulous..the dress is gorgeous! i love your blazer! so chic. Great blog!! Your outfit is so amazing!!! I love it. Il blazer con tanto di spallina - che adoro con tutta me stessa - è davvero fantastico! What a gorgeous look - that dress is stunning! I love your outfit! You look so pretty, and your dress is stunning. Thank you so much for following my blog! I love your blog, and I am following, too. your dress is lovely! it's looks so pretty both with and without blazer! very nice pairs of shoes as well. I understand you so well about the pavement and shoes and ankles! I worry all the time! And You look so pretty!!! stupendo!! questo mi piace davvero tantissimo!!! adoro!!!!! il colore del vestito è stupenda e la location mozzafiato! You look very chic!Love it! I really like your blog . Hiya, thanks for dropping by my blog. You've a lovely blog. I love your blog name! So cute! That's cool that you would now write more in English!!! Keep up the good posts!! omg i LOVE sorrento! i haven't been there in years, but i have such fond memories... cute outfit too! Of course i'd follow. Hoping you could follow me as well. Oh wow. The place looks amazing! <33 Love your outfit too! I love the formality of the sheath dress and how it's hot pink and fun. Wedges are a lot better than heels in comfort, but I find that my ankles roll in a lot more... so I'd never wear them on anything less than perfect pavement. Ciao!ti seguo già da un pò..bellissime queste immagini!Non sono mai andata a Sorrento ma spero di vedere la costiera amalfitana presto! sarei contenta se tu visitassi il mio blog e mi seguissi! Grazie per il commento lasciato nel mio blog. Con calma guardo un pò il tuo. Comunque mi piace molto l'abbigliamento del 1 giugno. Shame i cannot speak italian! Great blog !!! Love this dress. Follow and hope you'll follow me back! So glad I stopped by for your first post in English! Thanks for stopping by my blog too, I love discovering new sites so much! Your outfit is lovely and the setting, to die for! Can't wait to see more! I am obsessed with those shoes, they're absolutely perfect!! Thank you for your comment on my blog, I'd love to follow each other. I'm now following! Join My First Giveaway NOW! ..so beautiful and effortles outfit ..chic , I love it .. I love the pink dress, lovely. Nice outfit! You look really beautiful, Love the sandals! gorgeous! love your blog and followed. and your dress has great colour! grazie per il commento, gentilissima. Mi fa piacere seguirti e se ti va potresti seguirmi anche tu.. Comunque bell'outfit.. ti stanno molto bene i colori accesi, sarà per la carnagione chiara. thankyou for my comment! I love your outfit and blog! La giacca neri che indossi è davvero carina. Sicuramente ti seguo, se ti va fa lo stesso con me! Absolutely love the color of the dress and its pairing with the jacket! Thanks for visiting my blog. You look very chic, your dress is gorgeous! Sorrento looks very beautiful too. Thanks so much for the great comment on my blog! I'd love for you to follow, I'm following your blog now! Very beautiful pictures!! You have a great style and a amazing blog, i'm following you! Follow me back please? che elegante....<3 stai molto bene! Lovely! That blazer fits you perfectly and looks stunning paired with your dress. Thanks for your comment :) Wonderful dress et i love these photos, peaceful! Your clothes are perfet!! !I love the jacket!! Fantastica la tua giacca nera! Hello honey, thank for your comment in my blog...I like so much this outfit, the blazer is amazing and you look so pretty.. I follow you..Kisses from España. Ma che bello il tuo vestito rosa!!Stupendo. E anche la terrazza! very beautiful dress! I love the color and form! pretty dress and lovely landscape! 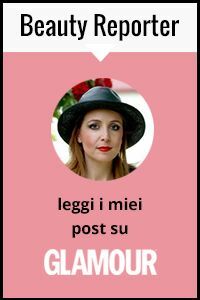 Il tuo blog è FAVOLOSO!!!! Absolutely stunning location. And your dress is gorgeous on you. You look stunning. L'abito rosso ha sempre il suo fascino....io avrei preferito il tacco a spillo al posto delle zeppe...però i gusti sono gusti ;) ! Questo il blog di una persona a cui tengo molto...se ti va passa! You look def gorgeous in that shocking pink dress! Lovely!! And tanks for leaving out such sweet comment on my blog. It means a lot to me really! Following you now.. Keep your chicness, sweetheart! Thank you♥ Oh yea! Let's follow each other! Hope you'll do the same as you say! I love your blazer and your wedges dear! You look fantastic! Questa giacca di imperial è stupenda e ti sta a pennello! I love this style! very professional and fashionable. mind to visit and follow me?